...Ok, Chen is...dumber than Cirno? Now that's a news for Aya. 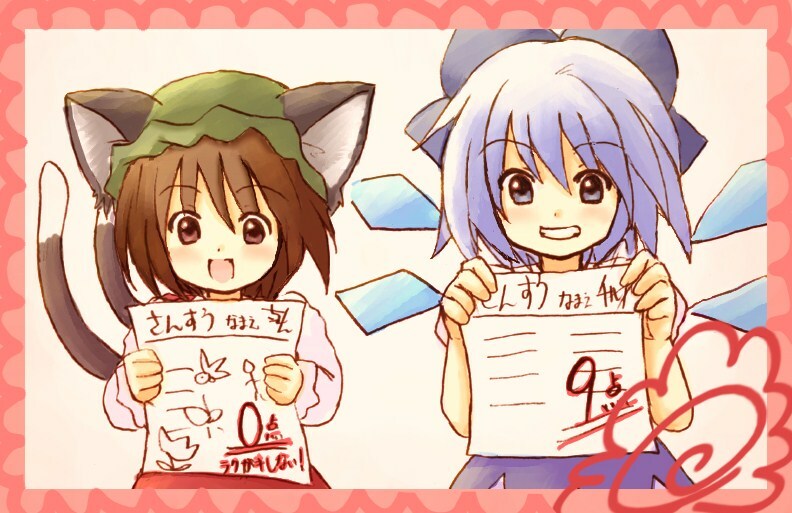 I'm not surprised considering that Cirno can read and Chen can't. Best Stage 2 Boss won. Say what you will about her intelligence, but I think Chen's drawings are just lovely. If this was art class Chen would've won. Ran, why you don't teach Chen? Don't doodle on your test!